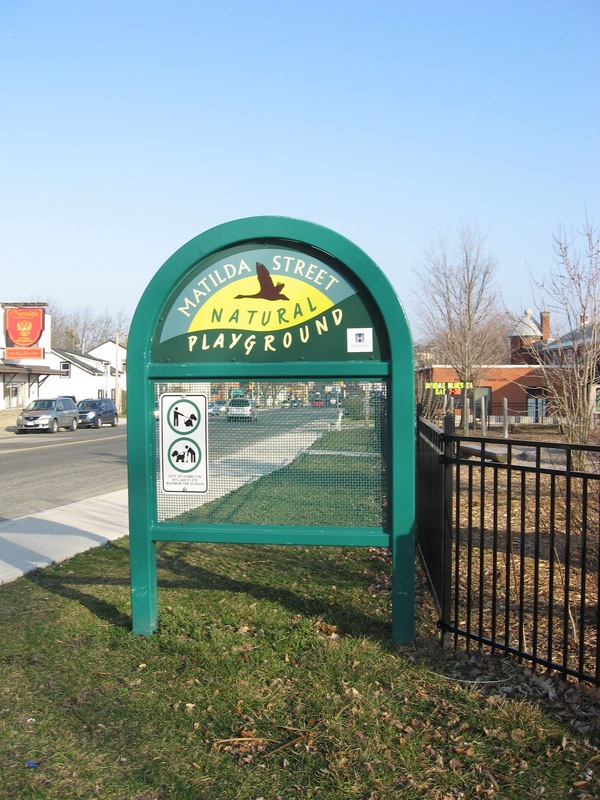 As I was driving down the main street of Dundas Ontario, something caught my eye. 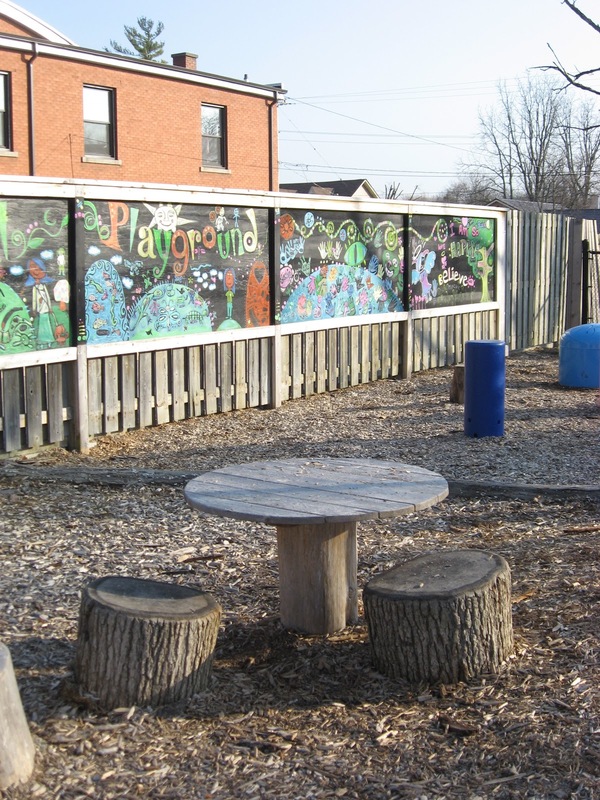 There, on the corner of the street, was a fenced area with grass, trees, rocks, logs, wooden chairs and tables and bright, colourful welcoming art. It beckoned to be explored. So, Timmie's (Canadian coffee institution) green tea latte in hand, I went exploring. 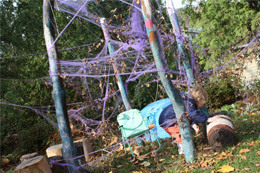 What a fabulous space for children to create and build their own play worlds. This is so great! 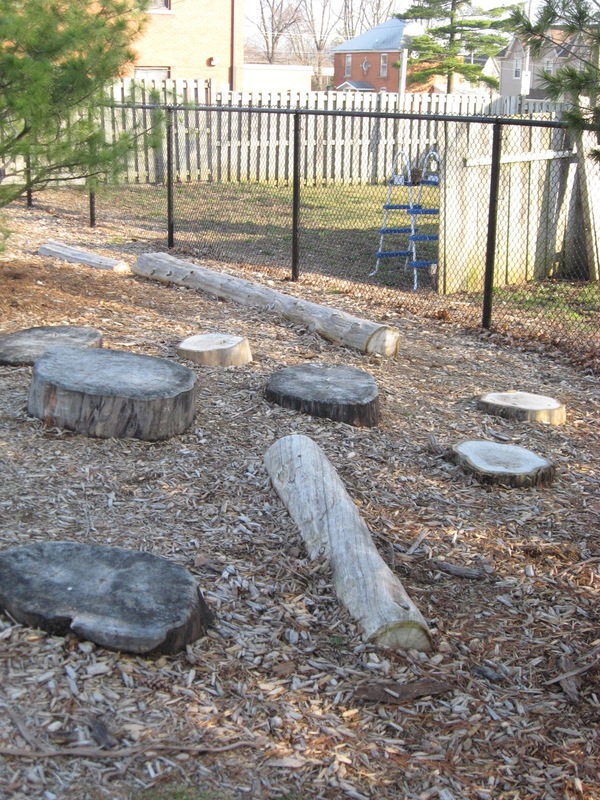 My daughter's preschool is going to be doing a fundraiser to make some changes to the outdoor playspace. I will be sharing the link to this post with them. Thanks so much for linking up to the outdoor play party! Wow..I wish the kindergarten playground at my school looked like this! Thanks for sharing the great pictures and stopping by my blog. I'm your newest follower! Oh my gosh, that looks so inviting! And I especially love all the natural materials. 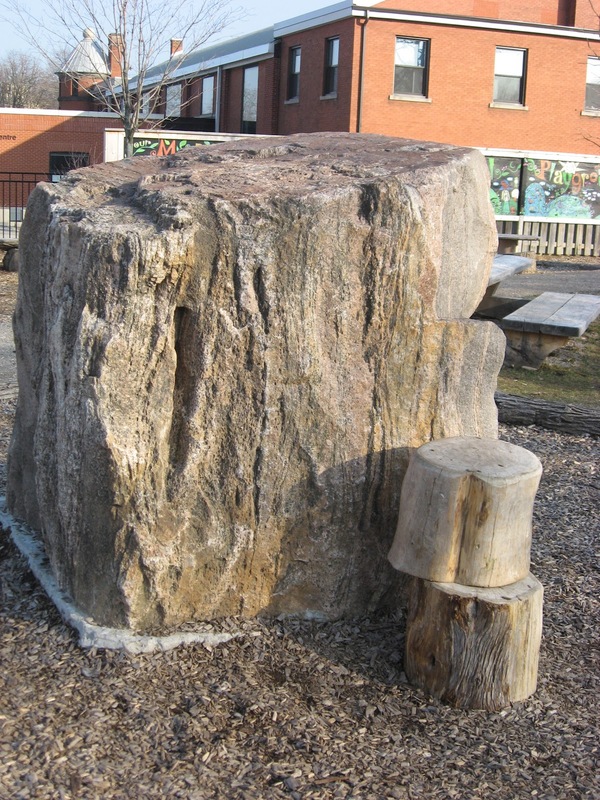 Thanks for sharing your discovery with us at the Outdoor Play Party - great inspiration!